T had her head wrapped in her hands when I walked into work. She lifted her head when I said hi, but had a little confused expression on her face. So she was excused from work to go home early, and then for the next few hours, three of us got slammed by the customers coming in nonstop. It was an exhausting day. When I don’t feel like going into work at all, I tell myself that it’s my workout. I got a lot of workout in today. And it’s also my English school. B asked me to heat up some cinnamon scone for a customer when I had just walked in, and before I even threw the scone in the oven, she made another request. “Hey, don’t be teaching me any bad English.” I added, laughing. She was hinting the fact that I majored in English Literature, and she, in Opera singing. Ironically, my English Literature degree that I earned in Seoul 10 years ago is not what helped with my English ultimately. It was my work. Once, my English, and my courage were both so poor that going to a coffee shop to get a cappuccino was a big deal for me. And that was when I was living in Seattle, the capital of the coffee world. But look at me now! I sell coffee! The very coffee that used to test my sense of worth. To me, that is a big step. After battling 5 hours with coffee and with one less soldier, I was exhausted. I sat in the quiet chapel for Adoration of the Blessed Sacrament after work, and all I could focus on was how tired I felt. Maybe, whatever T had suffered from got into my system. Or maybe it’s just that the work is a bit too over-taxing for my soul however trivial that job is. They say you need to be over 18 in order to work there. I think what really should be taken into consideration is the age of one’s soul. Do I have an 18 year old soul? I doubt that. Sometimes, I feel like my 6 year old nephew is more mature than I am soul-wise. 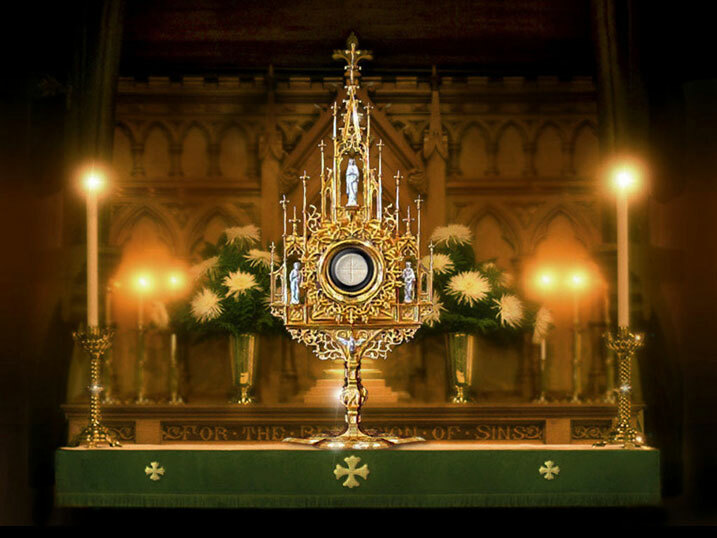 At the Eucharistic Adoration, I always get a clearer picture of my self, and the state of my soul. Today, I felt my lowliness. I felt like a spirit beggar, my spirit running so dry, asking the Lord for some help. My soul is dehydrated after working just 5 hours. I don’t yet feel dizzy enough to see some stars like T did this morning, but I know I was heading that direction. I would see more than the fuzzy stars had I worked more. When I was a full-time worker, I used to have days when suddenly everything would go all white, before I collapsed to the floor panting like a very thirsty dog. What was that? I have a few suspects, a few medical terms that could explain that sudden reaction. Today, I throw all those confusing explanations out of my mind. I’m thinking only about the Canaanite woman who asked Jesus to have mercy on her and her suffering from demon-possession. “but even the dogs eat the crumbs that fall from their masters’ table..”, she said. I don’t think I got the Truth of that message until I, myself, had become one of those dogs. The sense of unworthiness deeply rooted in my being is replaced with the loving embrace of the Holy presence. I see how adorable I am in His eyes. Despite my fatigue, exhaustion, and sleepiness, He saw me, and loved me. All this time, I was thinking that I went to The Adoration of the Blessed Sacrament to pay my homage to the Lord, to the one that I adore. When in Truth, I was the one being adored. I am finally brought back to the place where I can start right again.